Now you have the convenience of extra sink front storage with the luxury of silence with this easy to install soft-close hinge. Designed for use with all of our Rev-A-Shelf Tip-Out trays the unique soft-close piston eliminates slamming and the 50 degree opening allows for complete accessibility to items stored within. 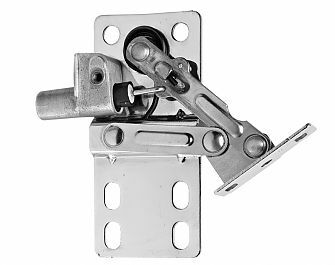 These hinges have precise movement for smooth, tight operation and the spring allows the hinge to close firmly and stay closed while the stiffening rips provide extra stability and eliminate side play. Note: Soft-Close Hinges only, tip out trays sold separately. 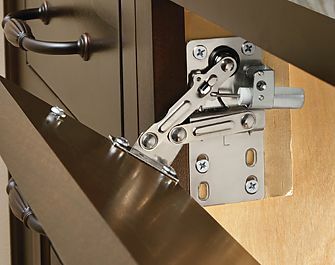 Set Contents: 1 pair Soft-Close Tip-Out Tray hinges. Warranty: Rev-A-Shelf products carry a lifetime warranty against defects in materials and workmanship when properly installed with Rev-A-Shelf hardware in accordance with manufacturers instructions.